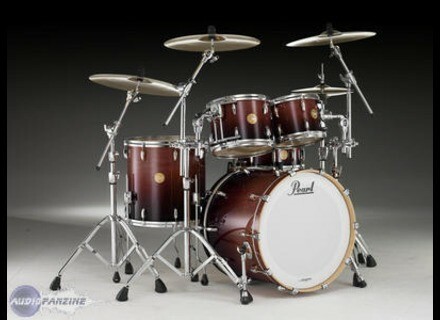 Limited Edition 4-Piece Mahogany Shell Pack, Drum Set from Pearl. 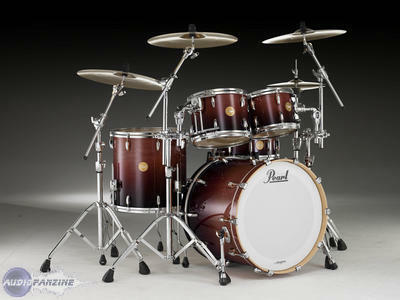 Pearl will be releasing a special, limited edition African Mahogany 4 piece shell pack in 2009. The drums are 4 ply of African Mahogany with Maple reinforcement rings. The shells are finished in a Red Mahogany Fade. The drums include a 22x18 Bass Drum, 10x8 and 12x9 Toms and a 16x16 Floor Tom. All toms feature Chrome Super Hoops, Aluminum OptiMount Tom Holders and Remo Clear Ambassador heads. Only 30 of these limited edition kits will be available in the U.S.
For more information, visit their web site at www.pearldrum.com. [NAMM] SKB Cymbal Safe Case SKB Corporation has added a new cymbal case to its line of cymbal transport solutions. [NAMM] A Custom Rezo Cymbals Line The Avedis Zildjian Company has introduced seven additional new models within the A Custom Rezo series. Tycon Percussion Presents e-Cajon Tycoon Percussion announced the introduction of its new e-Cajon.